AHTA General Manager, Neil Forrester, spoke of his continued thrust to cultivate this faction of tourism yesterday as he welcomed the arrival of the AHTA and Antigua Barbuda Tourism Authority sponsored Caribbean Skyway Air Rally at V.C. Bird International Airport’s Runway 10. “We should open up to these people and show them we are here to welcome them. Antigua has a new airport facility. We have first class handling with and we also have Avgas used by these small planes. We are an ideal place for them to venture down to from North America. 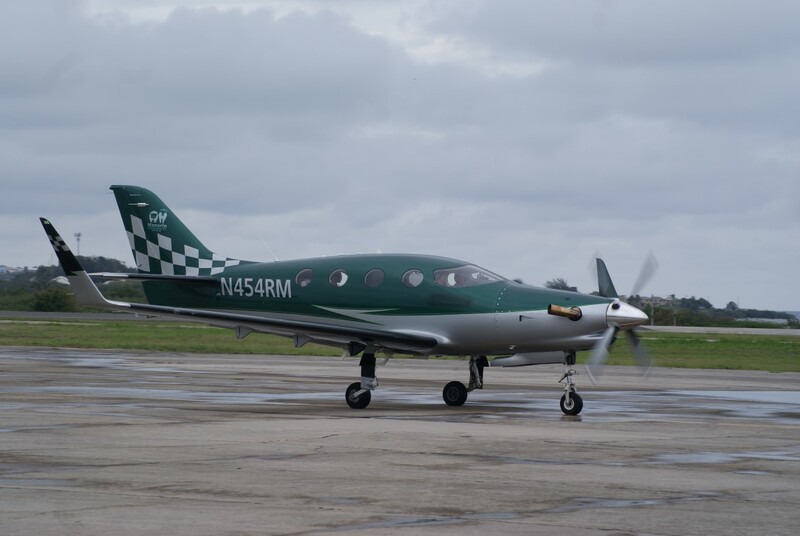 If we can get the word out that Antigua is friendly and welcomes general aviation, we could potentially see more of these planes coming down,” Forrester said. Over the last three years, participation in the rally has almost tripled, with 34 aircraft participating this year. However, only 22 touched down in Antigua & Barbuda yesterday, due to inclement weather with the remaining aircraft expected today. Forrester, however, believes this is only the tip of the iceberg. With only 1,300 nautical miles between Miami and Antigua and 600,000 certified pilots in the United States alone, the GM believes this could translate into tourism dollars for the island nation. “Pilots are a good audience for Antigua. They like to enjoy themselves. They get around and take part in activities. It is a small niche market, but it all helps. With the AHTA involvement, we are pushing them towards our member hotels and attractions,” Forrester said. Winner of the 2014 rally, and ambassador for this and last year’s event, Brian Pound, agrees with Forrester. He noted the steady increase in participation is expected to continue. “This is one of our favourite spots, I have to say that…Antigua is on every tour I’ve been on. We have a gentleman, Neil Forrester, who takes very good care of us. Customs seems to be very organized and we stay at beautiful hotels right on the water,” Pound said. Forrester went on to thank the Antigua Barbuda Airport Authority, Immigration and Customs and Signature who all teamed to facilitate the rally’s arrival in Antigua. This year’s Caribbean Skyway Air Rally participants hailed from 16 US states and six Canadian provinces. The single and double engine aircraft visited Grand Turk, St Croix, and Martinique before landing in Antigua. The fleet will venture on to Tortola and Haiti before disbanding. For further information the Caribbean Skyway Air Rally, visit http://www.antiguahotels.org or contact the AHTA at 462-0374.